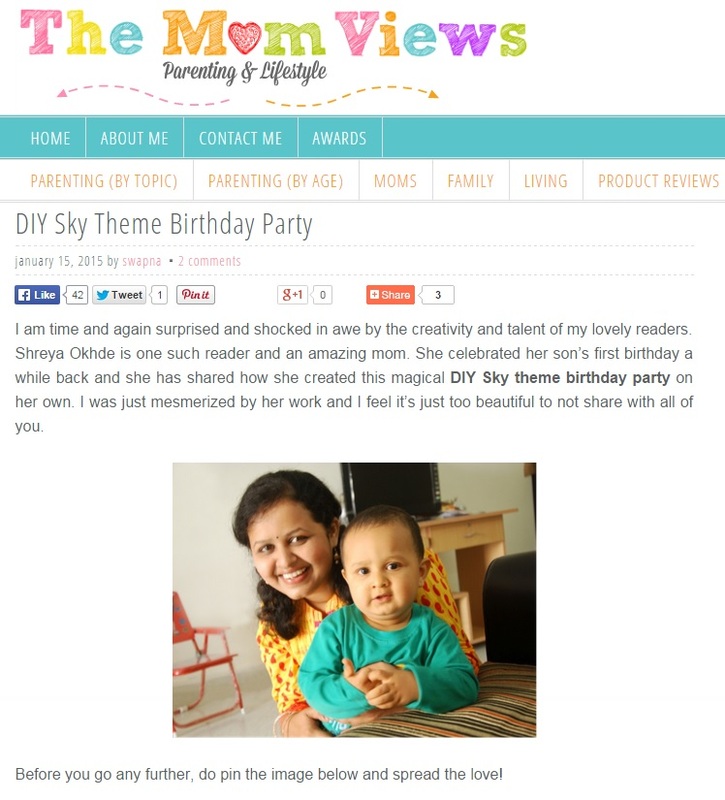 It always feels great to be associated with such esteemed blog as The Mom Views. It is India's leading and also award winning parenting blog. 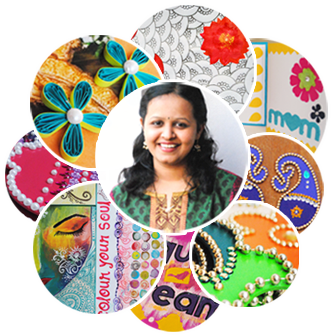 Author Swapna Thomas writes for the parenting community here. 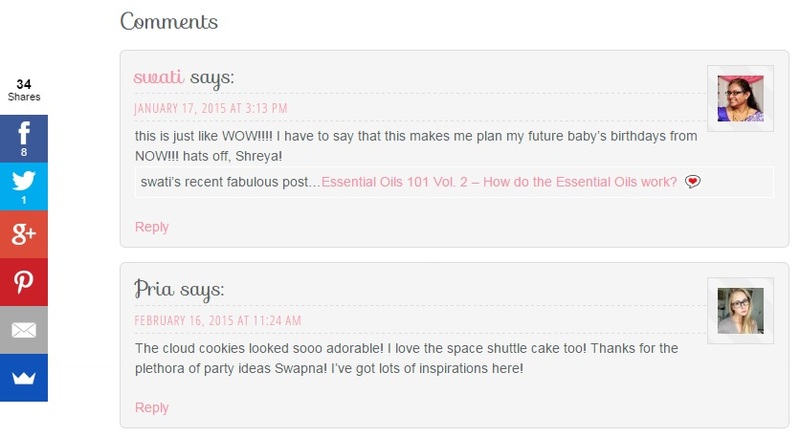 Swapna liked my design ideas I used for decorating in Shaunak's 1st birthday party and invited me to write a guest post, telling the readers how I went about planning for the party. 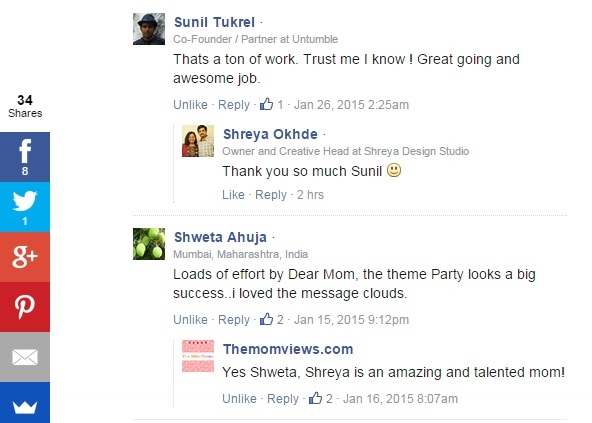 Swapna wrote to me: "The party was indeed a visual treat and I am so in awe of your design capabilities and the effort you put in. 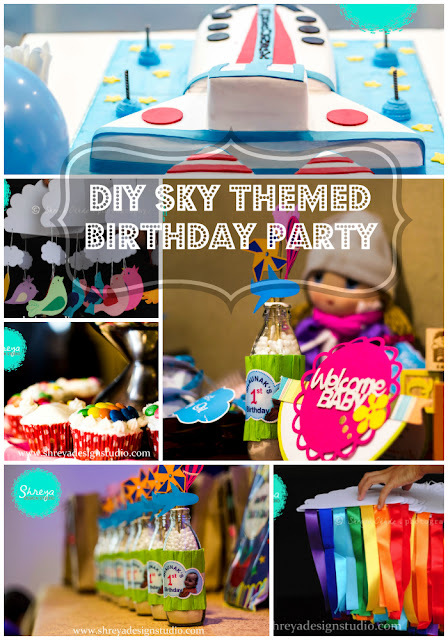 I would love to showcase your party, your work and give a shout out to your design studio. This work needs to be shared with the public out there." I was jumping in joy reading her mail! The compliment coming from an author and blogger I truly admire is a very special one! I instantly agreed and managed to write a post about arranging a handmade birthday party! And I was overjoyed to see people sharing, liking and commenting on the post!